This souvenir biography explores the early years of a playful, kind-hearted and inquisitive child who went on to make a significant contribution to British military, undergoing officer training at RMA Sandhurst and experiencing life on the front line. He remembers his mother as, ... read full description below. This souvenir biography explores the early years of a playful, kind-hearted and inquisitive child who went on to make a significant contribution to British military, undergoing officer training at RMA Sandhurst and experiencing life on the front line. He remembers his mother as, `fun-loving, generous, down-to-earth and entirely genuine'. 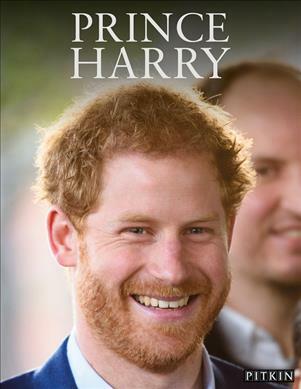 Prince Harry has inherited all of her valuable traits and follows his mother's legacy. His caring nature is celebrated through his commitment to charity and through the years he has embarked on numerous, and at times very grueling, charitable expeditions, notably the recently established mental health campaign Heads Together. He also coined the Invictus Games: a Paralympic-style multi sport event for wounded, injured or sick servicemen and women.